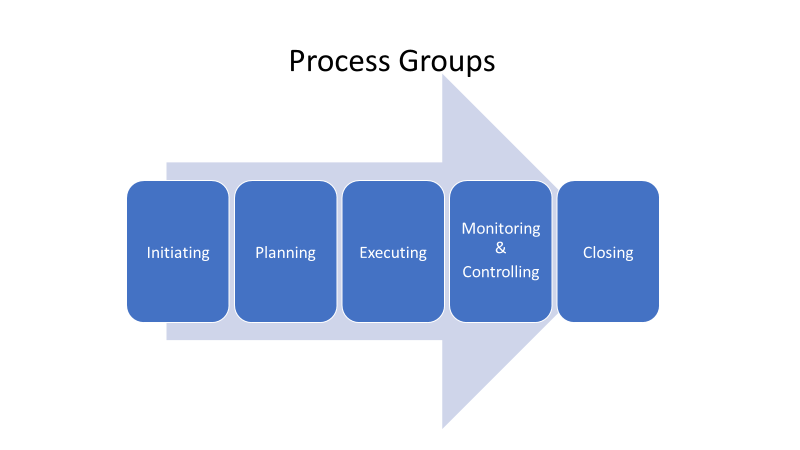 These 5 process groups are group the 49 processes based on the time period when these processes are performed which is obvious based on how these process groups are named. The processes across the process groups are performed in an overlapping manner. The project is initiated in the process group. 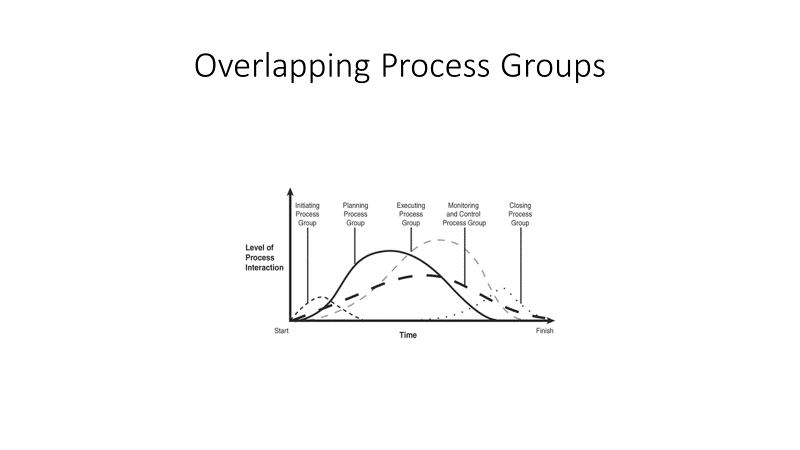 There are 2 processes in this process group. These processes are performed to start a new project or a new phase of an existing project by obtaining the needed authorization. The main outputs are Project Charter and Stakeholder register. The Project Charter is approved by the sponsor. It authorizes the project and gives authority to the Project Manager. It has the project details at a high level. High level requirements, Stakeholders, Risks,summary schedule, summary budget are some of the contents in the Project Charter. Stakeholders are individuals, groups or organizations who gets impacted by the project or who can impact the project. Project team, Client, Sponsor, Vendors, Public, Media,Political parties etc are examples of Stakeholders. The stakeholders vary according to the project. The project planning is done in this process group. There are 24 processes in this process group. The main outputs are Requirements documentation, Work Breakdown Structure, Project Baselines such as Scope Baseline, Schedule Baseline and Cost Baseline, Project Management Plan etc. The Project Management Plan has 10 subsidiary plans such as Scope management plan, Requirements management plan, Schedule management plan,Cost management plan, Quality management plan, Resource management plan, Communication management plan, Risk management plan, Procurement management plan and Stakeholder management plan. Configuration management plan and Change management plan are also part of the Project Management plan. The project activities are executed based on the project management plan. There are 10 processes in this process group. The main outputs are Deliverables, Work performance data etc. Deliverable is any unique, verifiable product, service or capability to perform a service which needs to be producted to complete a project. Work performance data are the raw observations and measurements identified during the project activities. Examples of Work performance data are actual duration, actual cost, number of change requests etc. The project is monitored and controlled in this process group. There are 12 processes in this process group. 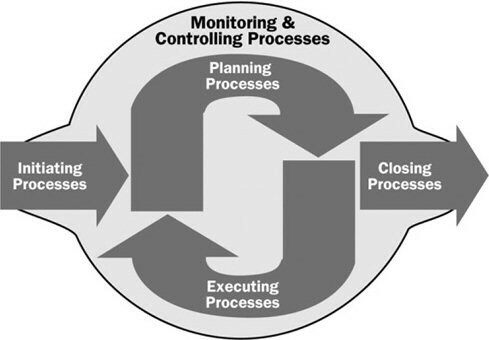 The processes in this process group check whether the other 4 process group processes are done correctly. These processes help tracking, reviewing and regulating the progress and performance of the project. The project performance is monitored and reported. Actual performance compared with planned performance and the variances between them are analyzed. Trend analysis done for process improvement. Alternatives analyzed and corrective action recommended.The change requests from different processes across process groups are analyzed and decided whether to be approved or not. Any changes to the project plan are identified and initiated. The work performance data from the Executing process group is used as an input for this process group. The main outputs are Work performance information,Work performance report,Change log etc. The project is closed in this process group. There is 1 process in this process group. This process is performed to formally close a project or phase of a project. The main outputs from this proces group are closed project, lessons learnt, final product, service or result transition to the client etc.